The board Annesley team rider and 2012 Australiasian junior ASP champ Wade Carmichael rode all year to win the title. The S2 is an all-rounder high performance short board designed to reliably perform in just about any conditions around the globe, from sloppy beach breaks, to clean reefbreaks. Flatter entry rocker and a single concave creates instant acceleration and greater momentum between turns, and a slightly clustered fin position provides sensitivity and release. The rails and outline are slightly fuller and wider overall than standard short boards. 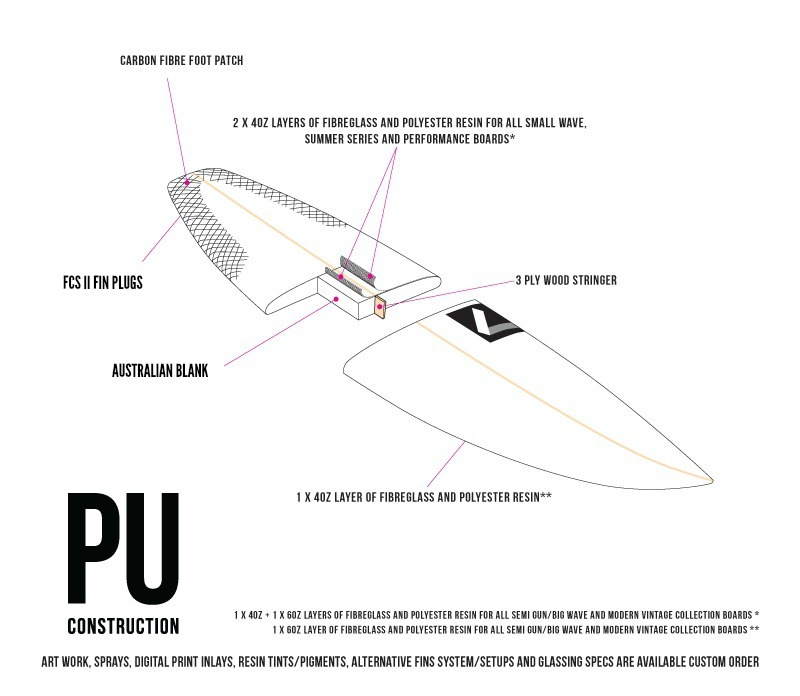 This model has been specifically designed to perform the futuristic moves being executed daily by guys like Wade while free surfing and in competition on tour.